"Vehicle storage" is self storage specifically designed for storing cars or any other type of vehicle. It is a great way to protect your car from the environment and also gives you a place to put your car if you aren't using it for a while. Car storage not only protects your car from the weather, but also from vandalism. It ensures that your car is safe all of the time. In some ways, it's safer than storing it in your own garage, since there are padlocks on the storage units and often security cameras that record the premises around the clock. When deciding where to store your car, take the climate in which you live into account. If you live in a warmer climate, storing your vehicle outdoors with a car cover wouldn't be as big of an issue as if you live in climate with harsh winters. If the area in which you live tends to have a lot of rain, tropical storms, or hurricanes, you probably don't want to store your car outdoors, either. There are several things you should do before storing your car for any period of time longer than a couple of months. Add gas and a stabilizer to prevent rusting inside and damage to the fuel system. Change the oil and disconnect or remove the battery to ensure your car will start when you are ready to remove it from storage. Put tire jacks under the tires to prevent flats and take the weight off of the tires. Make sure your car is clean inside and out. Finally, you’ll want to cover your car even if it is stored in an enclosed storage unit. Most storage facilities have a few rules. Some common rules are vehicles must be in drivable condition, tires must be inflated and in good condition, your vehicle must be registered and insured, and you may not use your storage unit as a workshop. Some self storage facilities let you store your vehicle in a regular storage unit, while others may require you to store it in a parking lot. There are also storage facilities that are only for vehicles. It is best to check with the self storage facility manager before storing your vehicle and let him or her know what type of vehicle you plan to store and the length of time that you plan to store it. The manager can guide you on the best storage option for you based on your storage plans. As long as the unit is large enough and there is no chance of damage, some self-storage facilities allow you to store your car inside a regular storage unit. 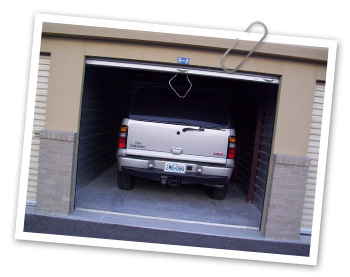 If the car can enter and exit safely without damage to the vehicle or the storage unit, the manager usually will allow you to store it there. These offer the most protection possible for your vehicle. Be sure to rent a unit that is climate-controlled to avoid changes in temperature and reduce the chances of your vehicle rusting. This shelters your vehicle from the sun, rain, and dirt. They are side-by-side spaces built to protect your car as best as possible. These are a good option for warm climates, but if you have a lot of snow or rain where you live, enclosed storage is preferred. This is usually the cheapest option, although not the best choice for long-term storage. It provides little protection against the elements, but if you are only storing your car for a short time it is a good option. Some businesses rent out spaces in their covered lots. However, they usually charge a large fee and are not as secure as the other storage options. Finding a place to store your car is easy. You can either search on the internet or look in your yellow pages. The sooner you find a place to store your car, the sooner you can protect your car from the elements that harm it when you store it outdoors unprotected.